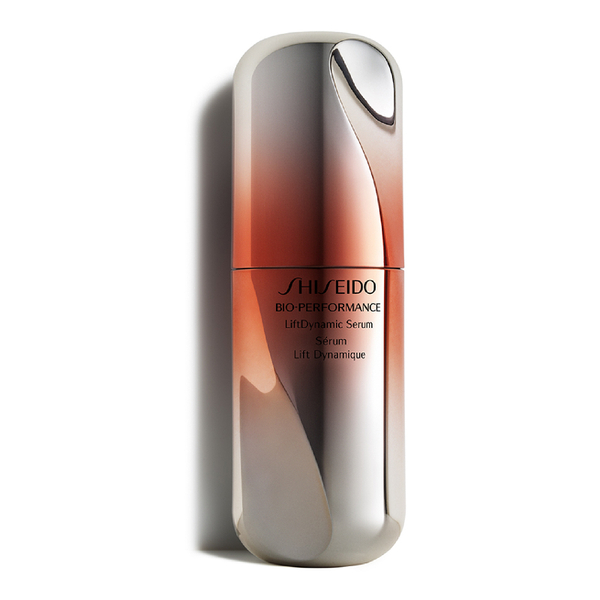 Sculpt and redefine facial contours with the Shiseido Bio-Performance LiftDynamic Serum; an advanced, anti-ageing treatment that seeks to support skin’s natural restorative processes for a youthful-looking visage. Powered by TruStructiv™, the lightweight yet highly concentrated serum contains Bio-Renewal and Bio-Corrective Complexes that help improve skin resilience and combat the look of sagging and fine lines with a visible lifting effect. Rich in Super Bio-Hyaluronic Acid N, it intensively restores moisture and elasticity levels for a smooth and refined surface texture. Unlock your skin’s potential and achieve a radiant and youthful-looking complexion. Apply each morning and evening after cleansing, balancing and strengthening skin. Press the pump once to dispense serum into the palm of hand and smooth it evenly over face. Water, Dimethicone, Butylene Glycol, Glycerin, Dimethicone Crosspolymer, Dipropylene Glycol, Xylitol, Polysorbate 20, Ammonium Acryloyldimethyltaurate/Vp Copolymer, Peg-10 Dimethicone, Talc, Phenoxyethanol, Peg-150, Polyvinyl Alcohol, Silica, Alumina, Titanium Dioxide (CI 77891), Mica, Trisodium Edta, Tocopheryl Acetate, Sodium Citrate, Fragrance, Sodium Metaphosphate, Potassium Hydroxide, Citric Acid, Sodium Metabisulfite, Limonene, Inositol, Hexyl Cinnamal, Iron Oxides (CI 77492), Benzyl Benzoate, Butylphenyl Methylpropional, Linalool, Saccharomyces Ferment Lysate Filtrate, Sodium Acetylated Hyaluronate, Alpha-Isomethyl Ionone, Thymus Serpillum Extract, Iron Oxides (Ci 77491), Citronellol, Geraniol, Carthamus Tinctorius (Safflower) Flower Extract, Rosmarinus Officinalis (Rosemary) Leaf Extract (Rosmarinus Officinalis Leaf Extract), Tocopherol.